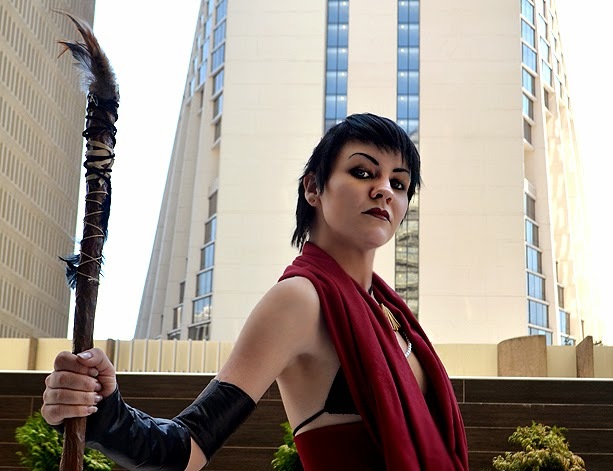 wanderlust ATLANTA: Dragon Con 2014 | Cosplay! 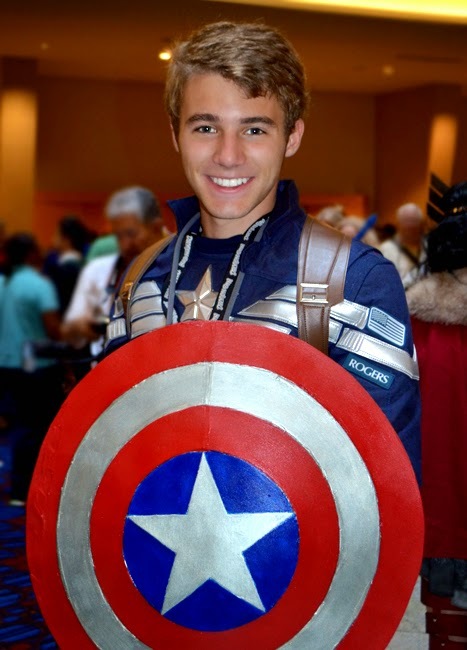 Dragon Con 2014 | Cosplay! The cosplay alone would be enough to bring me to Dragon Con year after year. These cosplayers are brilliant! If you've not been to Dragon Con, but you're been to the Dragon Con Parade, then you know a little of what I'm talking about. but know that the Con itself is a whole other, absolutely incredible, experience! I'll share in this post some of my cosplay photos and tell you a little about my convention experience—which was pretty awesome, even if exhausting. It finished a week ago today and I'm just now beginning to feel rested. Granted I dove right back into work—a LOT of work—but Dragon Con is nearly round-the-clock programming! This year I went to some favorite events, attended a number of panels and of course went to the Parade. Surprisingly, my favorite panel was the very last one I attended. There's so much programming, it's impossible to see and do everything you want to, but you end up doing so much that you feel completely and totally fulfilled. I wish I'd gotten to see Sir Patrick Stewart, but that'll have to wait for another time. The last panel I went to, on the last day of the Con, featured the cast from Being Human, a Syfy Channel program that I've really enjoyed. The panel was off the charts! These guys—Sam Witwer, Sam Huntington, Meaghan Rath and Kristen Hager—came in totally exhausted, but in no time were engulfed in an onstage tangled...I don't know what to call it, but it was hilarious. One got their eye poked and another scraped an elbow, I think. They were hilarious. Next thing you know they're running around the stage creating festive, mischievous havoc. They later very graciously brought the Dragon Con volunteers from behind stage for an applause of gratitude for their contribution to the Con (Again, "Thank you" to all the volunteers...you are appreciated!). And later they sang a song that I think was dedicated to their hair stylist??? An absolute blast, I tell you. I'd seen Sam Witwer, who has also worked on various iterations of Star Wars, Star Trek, Battlestar Glactica, Dexter, Smallville, The Walking Dead and so many other shows. The man is wonderfully talented. Also on the last day I got Witwer's autograph and was amazed and grateful that even after a very full four days of Dragon Con he was delightful, kind and gracious. I'm an even greater fan after seeing and meeting him than I was before. Thank you, Sam! I'm sure it made sense when they were scheduling, but some of the bigger Star Trek celebrities were on concurrent panels. I was fortunate to get to see and hear Gates McFadden, Dr. Beverly Crusher from Star Trek: The Next Generation. Talk about talent...Gates is wonderful! And so modest about it, too. She's even more beautiful in person than she was on the show and so personable, as well. I loved her relating her having a child of her own while she was playing the mother of Wesley Crusher. You could tell that she loves being a mother, that she wouldn't trade that for anything. The very first panel I went to this year was 10:00 a.m. on Friday, opening day (although I hear Thursday night was quite a happening night). That panel was hosted by Stephen Collins, who played Captain Willard Decker on Star Trek: The Motion Picture, the first movie in the Star Trek franchise. As some of you know, I've been a fan of Star Trek since I was a little kid, and for some damned odd reason I also like sock monkeys...they make me smile. So, you can imagine my delight when I saw the life-size "Spock Monkey"! Collins is also known for 7th Heaven, Falling Skies, and Revolution, to name just a few of the shows on which he's acted. I'd quite by serendipity met Collins last fall at An Afternoon in the Country, a local, quite large culinary event hosted by Les Dames d'Escoffier/Atlanta Chapter at Serenbe. We were at the after party and talking with friends of a friend. After almost realizing who I was speaking with, I asked, "Are you THE Stephen Collins?" Of course he was and he regaled us with a funny story about someone who attempted to hijack his identity. A gentleman he was, and I found him to be the same at Dragon Con. I'd saved more than 25 events on my Dragon Con app (Their app is brilliant! "Thank you, Dragon Con! "), knowing that I'd want to pick and choose depending on time and mood. It worked out well. If I missed someone on their first day, it was likely that there was another opportunity to catch them. Such was the case with Walter Koenig, who played Chekov on Star Trek: The Original Series and Bester on Babylon 5. For someone who is 77 years old, he is remarkable and funny! Shoot, he's remarkable and funny for someone a third his age...who am I kidding. The panel on which I saw him he was speaking mostly about Babylon 5, but he touched on a number of other shows on which he has worked—and there are a lot of them! You could tell, not only in that he said it, but with the way he said it, that Babylon 5 was one of if not his most cherished acting experience. I want to offer a huge "Thank you" to my friends who hosted breakfast and coffee, Perry and Scott for three days and Barry for the final day. It's wonderful to have a "home base" when so much is going on. I'm seriously considering a hotel room for next year! And I just do the morning, afternoon and early evening events...I'd definitely have to stay at one of the five host hotels if I wanted to do the nighttime events as well. Several of us went to the Parade together, but I'm going to save that for a separate post. I have more than 900 photos from that event alone to sort through! Wish me luck. For now I'll just say we had a great time, and I'm thrilled to see so many others—families, other conventioneers, and tourists—enjoying that part of Dragon Con. Also on the final day of the Con, I went to a Joss Whedon panel featuring Adam Baldwin and Ron Glass, who both worked on Firefly, one of the best shows ever to grace the television screen. Sadly—due primarily to an irregular air day of the week—the show was cancelled after only one season, and some of the episodes didn't make it to the air. Thank goodness for DVD sets! Baldwin and Glass were amazing. They played quite well off each other, even though you tell that, just as in the show, in real life they have very contrasting personalities. But...they are both funny, quick witted, and highly entertaining. There's a LOT to Dragon Con, more than I could possibly share in a single post. Dragon Con has bee going and growing since 1987, the year I moved back to Atlanta. Although it wasn't until I moved back to Atlanta in 2010 that I first attended. So this year made my fifth year and I can't imagine ever missing another one. Okay, get this. Of the four days of programming on the Science Track, the one panel I attended was "Science Doesn't Have to Mean Lecture", which was amusingly a lecture. It was insightful, but formatted more for science educators. Fortunately, I've been a science enthusiast since I was a kid, so I did enjoy it. On the Space Track, I couldn't resist the "Benefits of Commercial Space" panel, having worked in aerospace for nearly a decade. A lot of the talk was about satellites, which is the specific industry I worked in—I spoke the language the panelists were speaking! 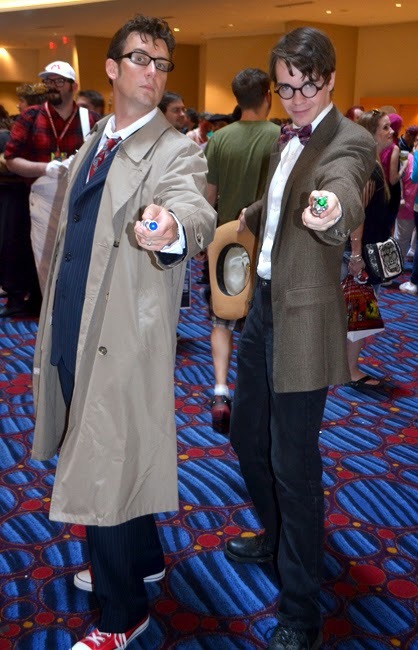 That's one of the things that I love about Dragon Con. They're my peeps! Well, kinda sorta. They're actually exponentially smarter, but I'm quite comfortable in their midst. Three or four of the four panelists in this talk were graduates of Georgia Tech, one of them currently a professor at Tech, and another has been to the International Space Station and his father was also an astronaut. Impressive panel! 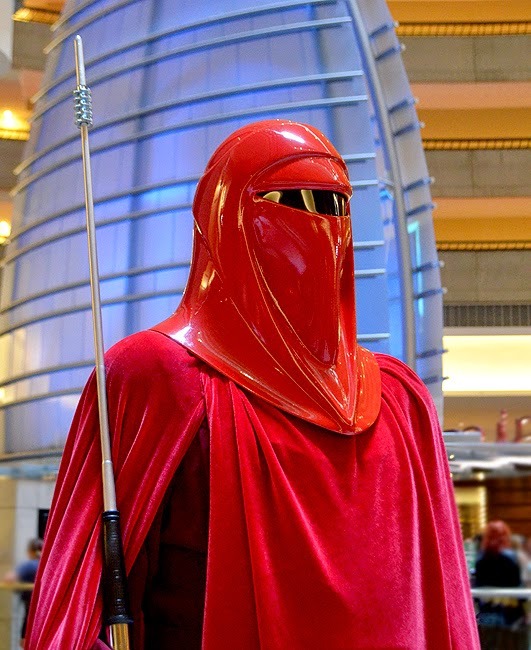 One thing you begin to notice when you attend Dragon Con year after year is the ebb and flow of costumes trends. Steampunk is one theme that has withstood the test of time. 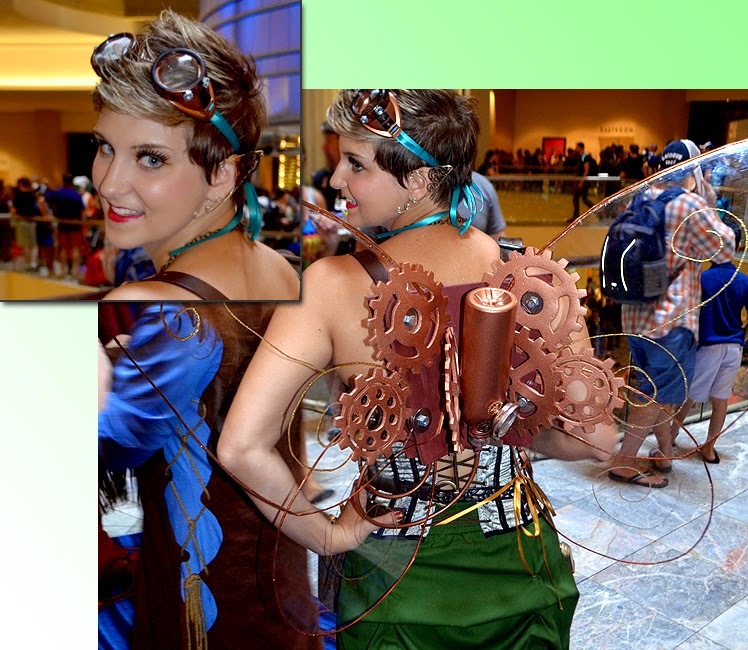 I loved the Steampunk Fairy pictured above...brilliantly creative and executed! I'm not exactly sure when Steampunk came onto the sceen, but it's been a Con favorite during my tenure. I hope it's around for a long time to come. 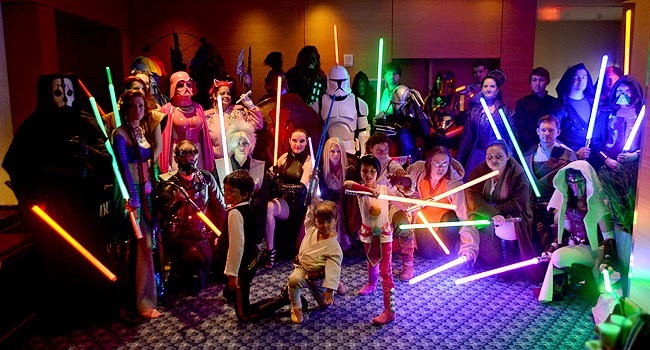 The Star Wars Costume Contest was filled with entertaining talent and costuming mastery...and a great deal of fun. I do wish, and it pains me to say this (you know I like to keep a positive attitude), but I do wish the host/master of ceremonies hadn't kept on and on about the night before being a long night. If you're hosting, bring your A-Game, no excuses. These people have been working on their amazing costumes for months, some of them for a year, and they deserve better than some hungover, rude remarking jerk hosting their contest. I do hope the Dragon Con leaders rectify that for next year. Enough said. Don't worry, I'm not forgetting the Miss Star Trek Universe Pageant. 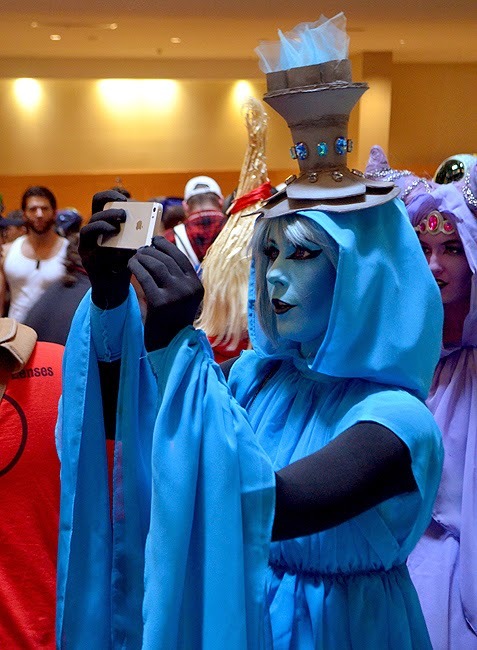 That's one of my favorite Dragon Con events and one that also deserves its own post, so more about that later. 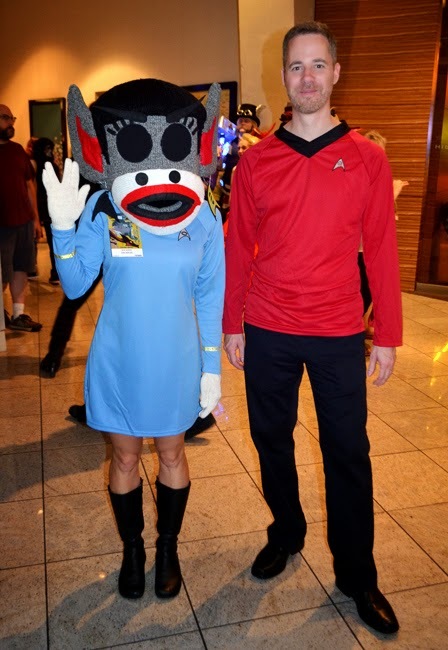 If you've never been to Dragon Con, and especially if you're on the verge of going, I highly recommend that you do. If you're not too sure, you can always start with a single-day pass and go for the full four-day pass when you discover how incredible and wonderfully amazing it is. 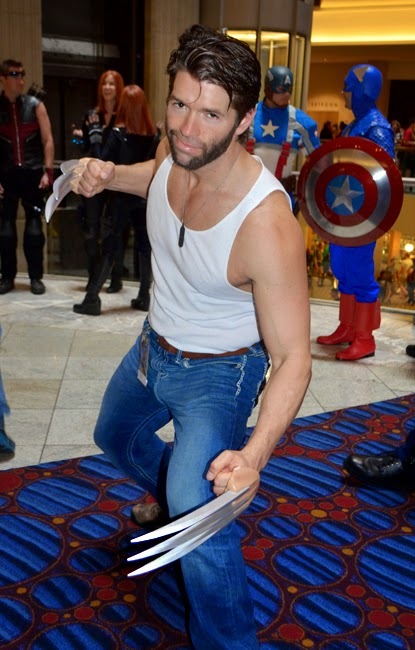 There are more cosplay photos over on the wanderlust ATLANTA Facebook page! I hope to see you at Dragon Con 2015! Makes me proud to be an American: "Spock Monkey."